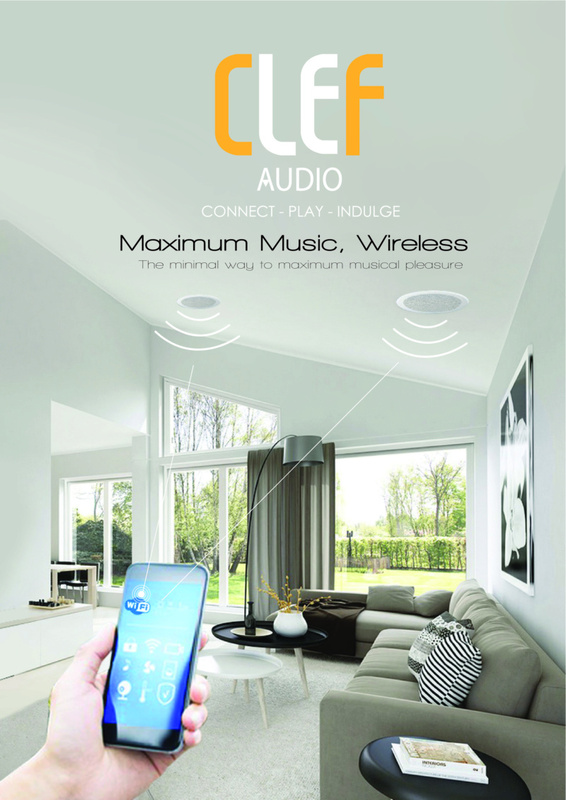 The WC-2s is a complete Wi-Fi ceiling speaker system comprising one active speaker and one slave unit. Stream music directly from your phone or music library on your NAS. Expand to add up to three zones of different musical programmes. 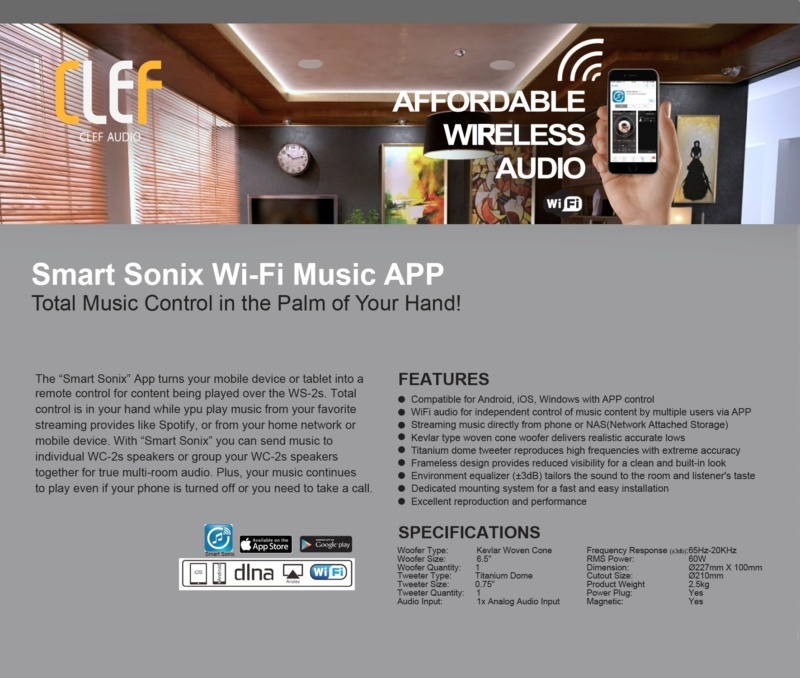 Use the Smart Sonic App, available for iOS and Android, or total control of music selection and sound. Full control in your palm! Independent control by multiple users. Stream music directly from phone or NAS (Network Attached Storage). Kevlar-type woven cone woofer delivers realistic and tight lows. Titanium dome tweeter reproduces high frequencies with extreme accuracy. Frameless design providers reduced visibility for a clean and built-in look. Environment equaliser (±3dB) tailors the sound to the room and listener’s tastes. Dedicated mounting system for quick and hassle-free installation. Sound to move your soul.